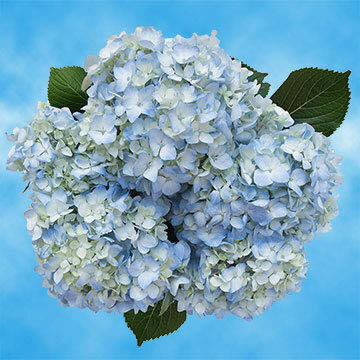 There's no other flower like the The Blue Hydrangea. Available in many shades and variations of the color, their value at any occasion is unrivaled. Displaying a romantic ambience at weddings, they project a beautiful disposition as centerpieces or bouquets. Used at social functions or dinner parties, they add a special flair to the decor. 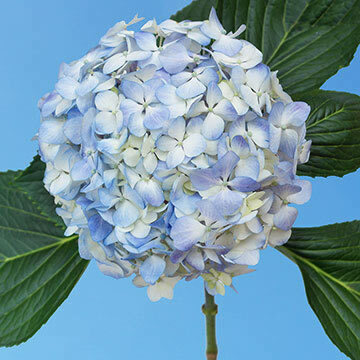 The versatile nature of the The Blue Hydrangea cannot be denied. Their ability to conform to your needs is why they are so popular. Globalrose offers a variety of products at wholesale prices. This allows our customers to receive fresh, youthful blossoms at a tremendous discount. Our guaranteed fresh policy when your selections arrive is reinforced by our products being specially cultivated in state-of-the-art greenhouses. We take pride in knowing that from our greenhouse to your door, you get nothing but the best, lasting from the time you receive your orders, during your event and the days that follow. Flowers are special. 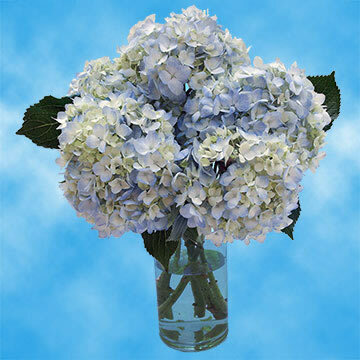 The Blue Hydrangea conveys thankfulness and love. When organizing an event, these selections are definitely a first-rate choice. Year-round, they guarantee beauty and the ability to command an event, whether outside or in. You want a showstopper that will captivate and leave your guests speechless each and every time. You'll get that with a The Blue Hydrangea and much more. Sheer perfection and lasting satisfaction, guaranteed.